Wow! 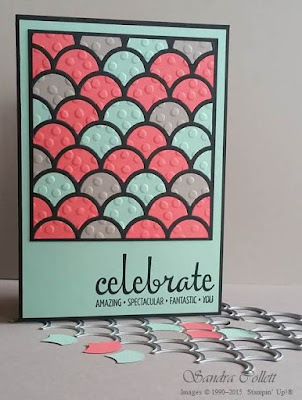 We tossed out three amazing colors - Tip Top Taupe, Mint Macaron and Watermelon Wonder - and you responded with amazing projects. Your work was inspiring and filled with talent and care. We are so happy that you all played along - what a great collection of projects! Congratulations to our chosen winners. If you are a winner make sure that you add the Global Design Project badge on your blog. Sandra's card epitomizes modern beauty. 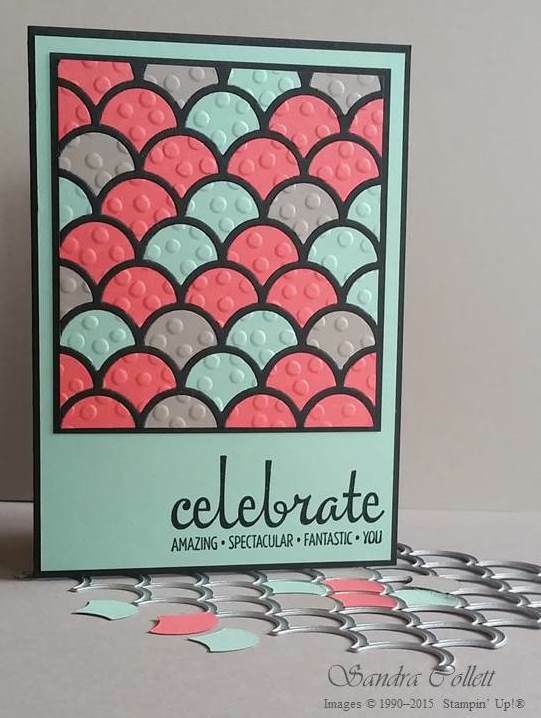 We love how she used the Striped Scallop Thinlits to create this masterpiece with these colors. It took a lot of patience to paper-piece all of these cropped pieces back into the die cut, but the time and energy was worth it. Just gorgeous! A little bit rustic and a whole lot of clean, Sarah's Mother's Day card really stands out in our gallery. Every detail on this card makes Sarah's card absolutely perfect. We are so glad she made it and shared it with us. We are happy to share it with you again today. Could Claudia Bugl's card be more beautiful? The layered ornament is gorgeous, but the textured background and off-center band elevate this card to amazing. Such a beautiful project, Claudia! 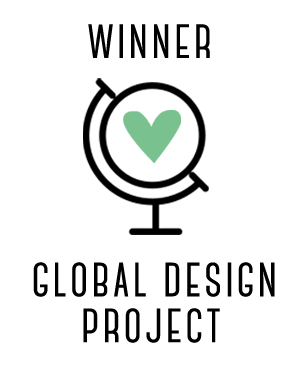 Thank you again to everyone for your support with the Global Design Project. We are so inspired by everyone who plays along, make sure you play along with us next week! Congratulations also to Sarah and Claudia - great ideas. Well done Sandra, Sarah and Claudia, love your cards just amazing all rounded . Congrats to the winners! Your projects are very deserving. There were so many exceptional projects this week; it must be hard for the judges to choose. Well done everyone! Fabulous projects - well done ladies. Oh wow! Thank you for those lovely words about my card! I had so much fun with this colour combination and I hope to play along with every challenge from here on out :) Congratulations to Sandra and Claudia, I loved their cards too! In fact, Sandra's card has me wanting to buy the Striped Scallop Thinlit immediately! What a surprise! Thank you so much for choosing my card! Congratulations to Sandra and Sarah! And thx to all for the great inspirations! Excellent choices! There were so many great entries! Congratulations to Sandra, Sarah & Claudia. All worthy winners and so many fabulous creations to choose from. Beautiful cards, congrats from a Nova Scotian (Canada) living in exile ;) in California.